I am afraid that education is conceived more in terms of indoctrination by most school officials than in terms of enlightenment. I am an old man now, and when I die and go to heaven, there are two matters on which I hope for enlightenment. One is quantum electrodynamics and the other is the turbulent motion of fluids. About the former, I am really rather optimistic. In Address to the British Society for the Advancement of Science (1932). As cited by Tom Mullin in 'Turbulent Times For FLuids', New Science (11 Nov 1989), 52. Werner Heisenberg is also reported, sometimes called apocryphal, to have expressed a similar sentiment, but Webmaster has found no specific citation. 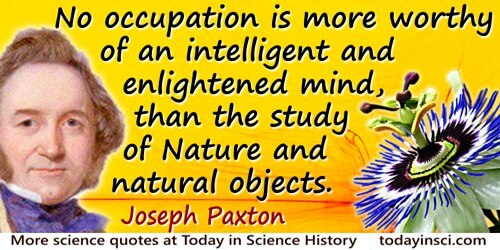 Once regarded as the herald of enlightenment in all spheres of knowledge, science is now increasingly seen as a strictly instrumental system of control. Its use as a means of social manipulation and its role in restricting human freedom now parallel in every detail its use as a means of natural manipulation. In The Ecology of Freedom (1982).